More people live in the city of Washington, DC than live in Vermont or Wyoming, and yet the District of Columbia has no voting representatives in Congress. In fact, it wasn’t until the 23rd Amendment was ratified in 1961 that our votes could count in presidential elections (DC now has three votes in the Electoral College). When Aries, our stellar emcee, came up with the idea for Syncopation Without Representation, we knew we had our 2019 theme. But we also knew that couldn’t be the end of it. We didn’t want to be the event that called ourselves Syncopation Without Representation without thinking too hard about the other definitions of representation, and what representation, especially of marginalized people, means in the context of the dance scene in 2019, and in the context of our city in all its marvelous complexity. What would it mean to use our power as a top dance event (to “vote,” if you will) to try and move the needle? We took the theme as inspiration to think deeply about the event: what the event means to us, what it means in the broader context of DC and the DC dance community. To the best of our ability, we were thoughtful in the decisions we made. We have a strong commitment to making sure that all dancers feel safe and welcome at this event. In recognition of this, we will have safe spaces representatives available at every event. We have begun a long-term project to make the bandstand more diverse and representative of the community and history of the dance. With this, we hope you can see this announcement for what it is: an effort in good faith and a promise to continue. We have begun to build relationships with local DC jazz organizations and groups that could lead to better inclusion of the larger jazz scene in DC, and not just the groups that regularly play for dancers. We aren’t done doing the work to make our dance event as representative as possible, but we hope you can see that we have begun it. 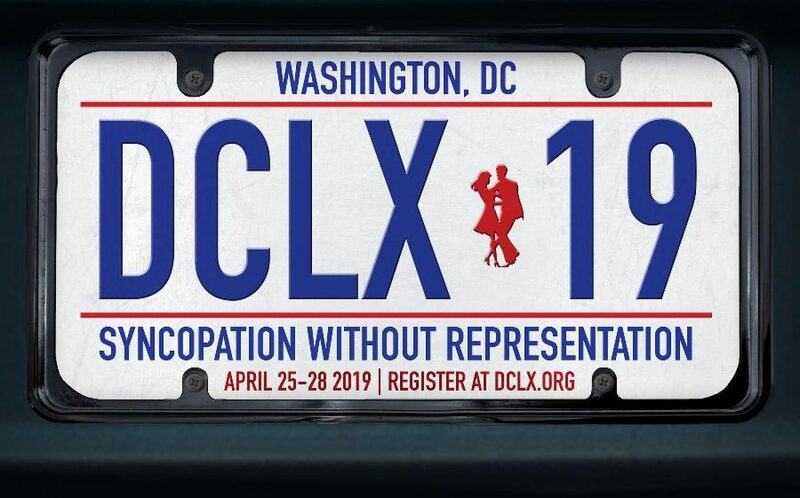 But we want you to come to DC in April and feel comfortable, safe, and welcome, basking in the music and movement of the dance and the city we love so much. The history of DC and the history of Lindy hop and the history of America are the same history, painful and lovely and brutal and musical, and we want to celebrate and dance despite and because of it all. Won’t you join us? Previous PostPrevious DCLX’tra: Chelsea Reed and the Fairweather Nine!